At the Rector Law Firm we honor the efforts and sacrifices made by our country’s veterans. We understand that the important work you’ve done has helped protect the American way of life, our rights and our values. You fought to protect us, we’ll fight to protect your legal rights. Our Colorado Springs personal injury law firm specializes in car, truck and motorcycle accidents, pedestrian and bicycle accidents, premises liability and wrongful death cases, and bad faith insurance disputes. Our approach is extensive, and we devote the time and resources required to create a case that effectively fights for maximum compensation on your behalf, while freeing you to focus on what matters most: the recovery of your health. To honor your sacrifice, we are proud to offer our services at a discounted rate. We can provide you with a free consultation where you’ll be able to give us the details surrounding the accident leading to your injury, and we’ll be able to let you know how we can help, and give you further details about our discounted rates for injured veterans. A personal injury can be a devastating, life altering event. And the fight to get back to the normalcy of everyday life can be long, complicated and difficult. But it is not a fight you have to make alone, our dedicated injury attorneys will stand by your side and fight with you. Our office is committed to serving those who have served our country, and dedicated to providing veterans with the best legal services available. We’re natives of Colorado, and have a family history steeped in the practice of law, and in service to our community. 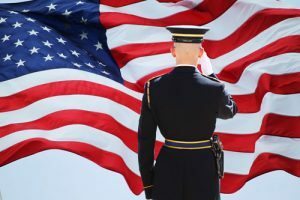 If you are a veteran who has been injured due to the negligent actions of another person or organization, we will guide you through the legal process and see to your legal needs for you, so that you can focus on your recovery. Rely on Rector Law Firm’s experience to protect you and your rights. Call us today at (719) 249-5572, or fill out the confidential contact form on this page.